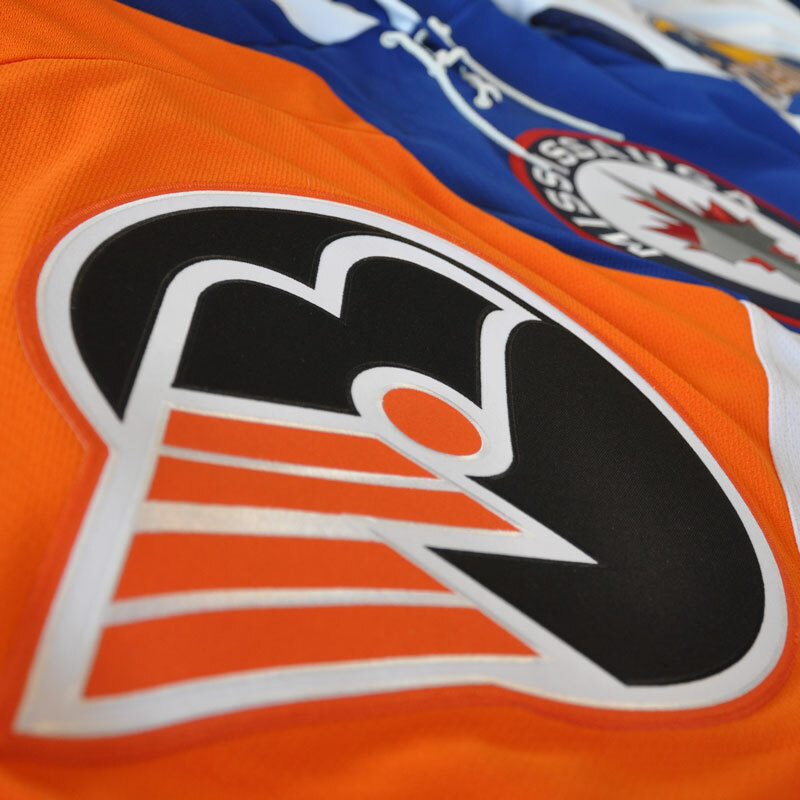 Embroidered crests and patches have made a return to the spotlight in the sportswear industry. Luxurious embroidered crests on the front of your hockey jerseys tell your opponent that you take pride in your game, just like we take pride in our work. Putting you in uniforms that you are proud to wear is our goal, and we’ll ensure you look great while you score a few goals of your own. Stitch coverage, crest size and detail will determine price. Please contact us to discuss your project and we will promptly provide a quotation. All prices are quoted and finalized based on logo finalization and review. Large front logo for hockey Jerseys.